Nowadays, France Dedicated Server Hosting demand increases day by day in Web Hosting. it’s hard to find best as well as a cheap dedicated server hosting plans at nearby your location. Onlive Server gives an opportunity to buy cheap hosting plans for your location. Onlive Server Hosting company provides all types of web hosting services for worldwide location: France Dedicated Server is one of them. our Server hosting plan available for every complex website and web-based application. Here you will get full root access with maximum flexibility. We use the latest technology based on KVM & KVH Virtualization. Our all servers come with complete installations of web hosting control panels some of them are: Ajenti, Baifox, cPanel, ClusterCS, DirectAdmin, Domain Technologie Control, Froxlor, Gnupanel, H-Sphere etc. Our France Dedicated Server starting price just $99 monthly with Intel Xeon 4core processor – 8t/3.5GHz, 16GB RAM, and 2TB HDD. France Dedicated Server is extremely Finest Platform for online business websites. It leaves a great ultimate impact on a user’s website or web application. We offer a secure hosting solution with ultimate features. 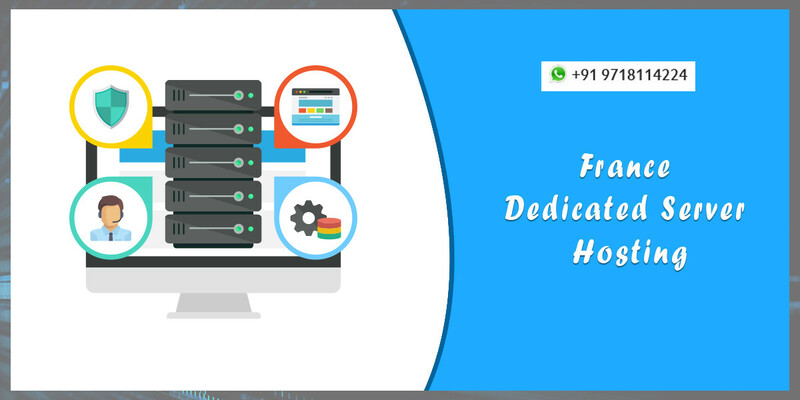 Here the user can easily configure their server and get maximum RAM, HDD disk space, SLA, proxy IP Server, DNS and many other useful features available with our France Dedicated Server. You can install custom software and applications that can boost your business. It helps to increase business growth in the Internet world and gives the huge amount of traffic. Basically, Onlive Server has own data centers for worldwide but Gravelines is nearest for France’s users. It is available for both Linux and Windows based Os at a very cheapest price. Generally Linux Os – CentOS, Debian, Ubuntu, Fedora etc. Our server hosting plans comes with proper installations of CMS in such method: Java Open source software (Apache Roller, Ametys CMS, Enonic XP, Fedora Commons, Nuxeo EP, OpenCms), Perl (Bricolage, Foswiki, Twiki), PHP, Python etc. Data security factor is the first priority for us, we focus on user demands and their requirements. Our server comes with unbreakable DDoS protection and TLS that is a help to protect your network. We give a high level of security for securing data from malware threats, unauthorized access, virus attack and spamming. With us, no chance to break security breach and lose important data or information. We ensure a guarantee of top class security and gives backup facility with France Dedicated Server. Here you can run heavy web-applications smoothly. Apart from that the most important fact behind to preferring our France Dedicated Server is that KVM and SSL come with cPanel and IPv4 & IPv6 Support. We provide web hosting professionals for monitoring your server, if any issue will be generated regarding the server then you can direct contact to our hosting professionals.